Few kinds of torture possess the gruesome horror that this outfit displays. 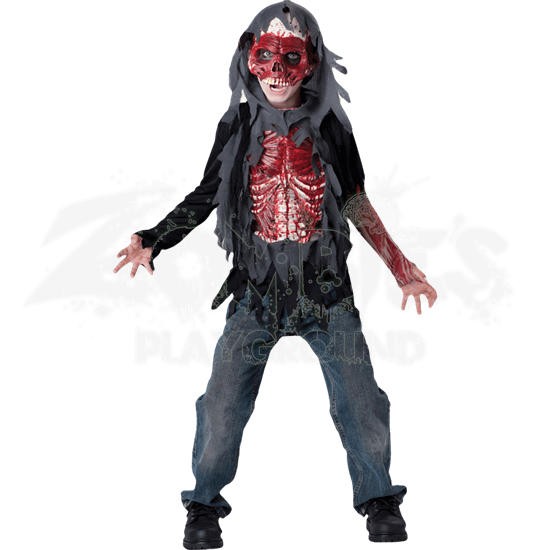 When wearing the Boys Skinned Alive Costume, you display the bloody bone and muscle left behind after the cruel and painful experience. The vinyl chest piece and mask show the contrast of scarlet blood and white bone against the tattered remains of clothing to create an eye-catching outfit. A printed mesh sleeve continues the effect on one arm. 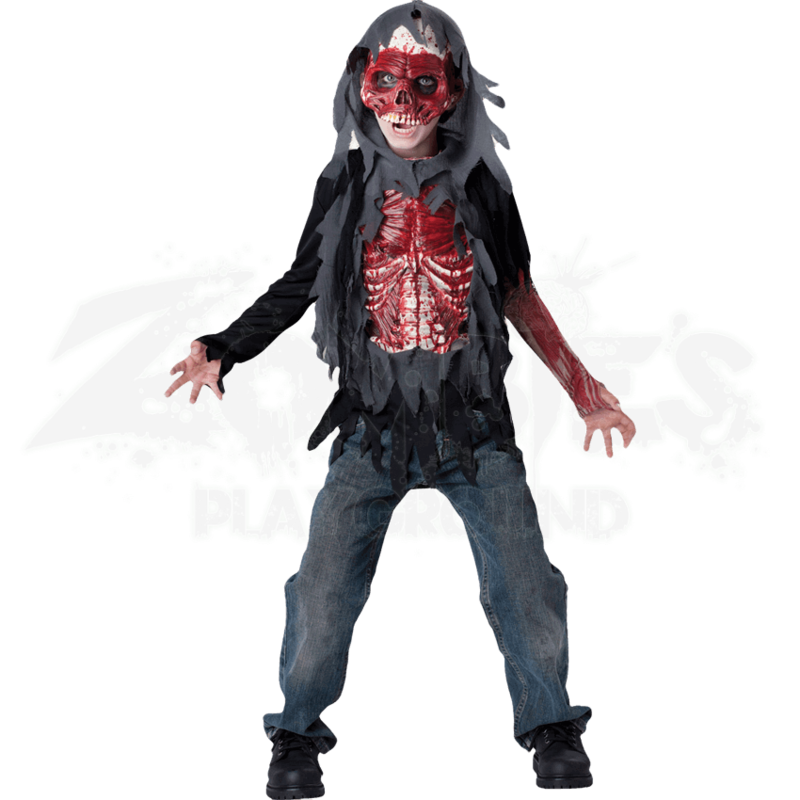 The Boys Skinned Alive Costume makes a dramatic Halloween costume that is perfect for the spookiest night of the year!